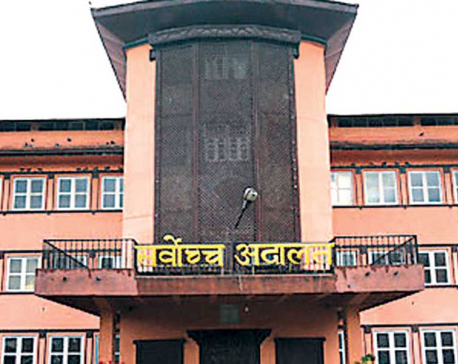 KATHMANDU, March 21: The Supreme Court has directed government authorities to use property in the Nepal Trust for the good of the public and protect such assets from the land 'mafia' and brokers. 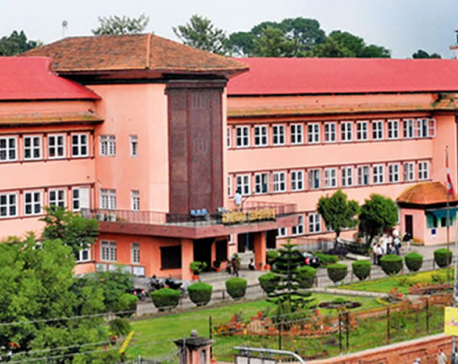 The property of the then royals belong to the state and its protection and use for the welfare of the public is therefore a must, according to apex court instructions to government authorities-- Office of the Prime Minister and Council of Ministers, Ministry of Home Affairs, Ministry of Law and Justice and Office of the Nepal Trust. Issuing the full text of the judgment in the case relating to land in Chhauni belonging to former princess Prerana, a three-member full bench of then chief justice Sushila Karki and Justices Deepak Kumar Karki and Sapana Pradhan Malla directed the authorities to protect the assets of the government for the welfare of the public. The full text was made public only today although the judgment was handed down one and a half years ago. The verdict invalidated the transfer of the Chhauni land by former king Gyanendra to his daughter Prerana as dowry. The bench also stated that the former king did not have the authority to put the public property to personal use as a gift or in any other manner as that would be a kind of misuse of his status as former head of state. The bench overturned an apex court judgment handed down by a division bench of then chief justice Ram Kumar Prasad Shah and Justice Cholendra SJB Rana and also directed the government authorities to use the land for public benefit. The 15 ropani of land was initially registered in the name of an unmarried daughter of King Tribhuvan and was transferred to other royals after her death. It was subsequently given by former king Gyanendra to his daughter Prerana as part of her dowry. The apex court has also directed the government to bar the division or sale of such property or its exchange for any other assets. The full text also underlined the pathetic record of the government in protecting and preserving national historic properties such as old palaces, houses and their compounds and directed it to adopt a long-term vision for their preservation. The apex court called into question the government's pathetic inability to protect and preserve these assets and prevent their misuse. Underlining the tendency to use public assets for personal benefit, the apex court directed the authorities to find suitable means for their protection and use for public purposes.